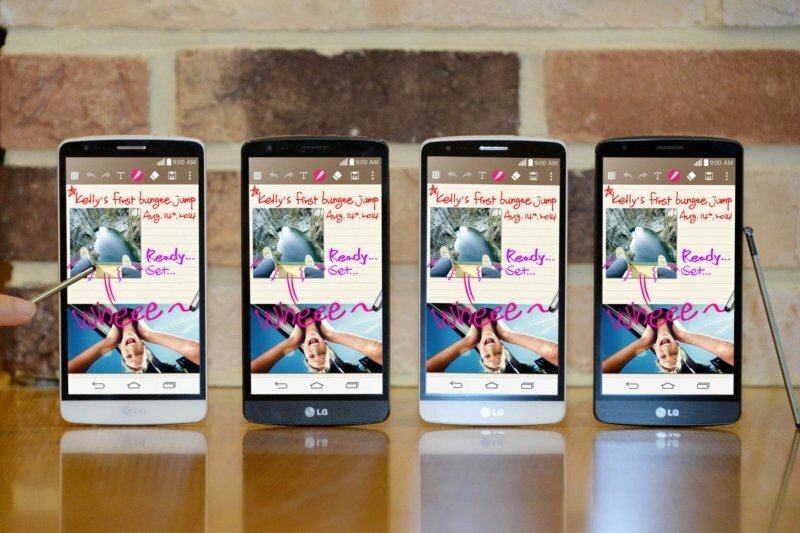 A few weeks after accidently unveiling the device, LG has officially announced the G3 Stylus. Slated to be showcased at the IFA tradeshow in Berlin next week, the smartphone has similar design as the company’s flagship G3, but with fairly mid-range specs including a 1.3GHz quad-core CPU (a step down from the G3′s 2.5Ghz Snapdragon 801 chipset), 5.5” qHD (960 x 540 pixels) display, 13MP rear camera, and 1.3MP front camera (down from 2.1MP on the G3). Other features include 8GB of onboard storage, 1GB RAM, 3000mAh battery, 3G connectivity, and a micro SD card slot for extra storage. The G3 Stylus runs on Android KitKat (version 4.4.2), and carries many of the G3's software features including QuickMemo+, Dual Window, Smart Keyboard, Gesture Shot, and Knock Code. As the name suggests, the device also includes a stylus that the company is calling the Rubberdium stylus pen. LG claims that the stylus feels comfortable in any hand and is perfect for "effortless jotting, doodling and sketching with precision". LG says it will begin rolling out the G3 Stylus in Brazil next month followed by countries in Asia, Middle East and Africa and CIS. There is no word yet about a possible US launch. As for the price, the company didn't provide any details, however it did say that the device will be available for “a fair price”.